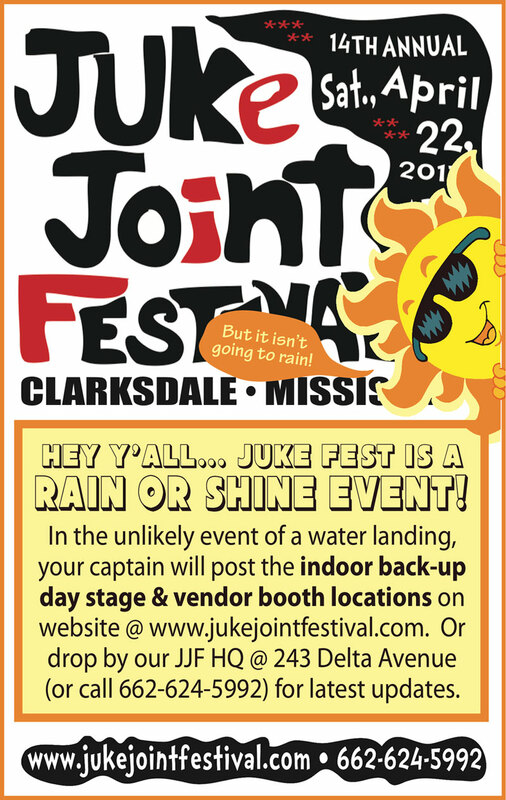 It's "Half blues festival, half small-town fair and all about the Delta!" Related Events run Thursday through Sunday, and the main event itself is all day/night Saturday — with 13 daytime music stages, 20+ nighttime venues, 100 blues acts, 100 street vendors (food, arts & crafts, etc. ), petting zoo, rock wall, history bus tours, educational events, racing pigs, monkeys riding dogs and much more. • Folding chairs and blankets welcome, but not attendee tents.